The sun is still playing this game of hide and seek over here on the west coast while our friends in the mid-west and east coast are still dealing with snow. Looks like Spring is going to hide behind the clouds just a little bit longer huh? But that won’t slow summer from busting out full force in just a couple month’s! 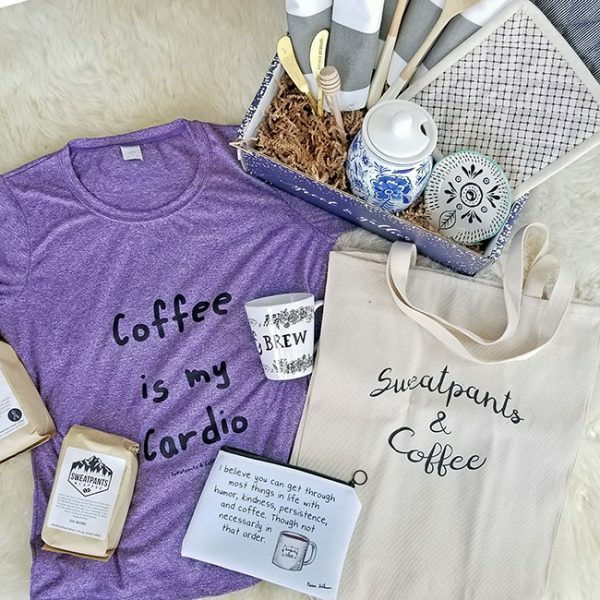 So with that in mind we’ve shifted gears for this month’s #TreatYoSelfTote and partnered up with Greet & Gather box from our friends over at Cratejoy. Here’s the first looks at this month’s Bloom #TreatYoSelfTote Giveaway. There’s so much goodness going on there! Greet & Gather is an entertaining subscription box, bringing beautiful home goods to brighten up your table with a fresh palette. 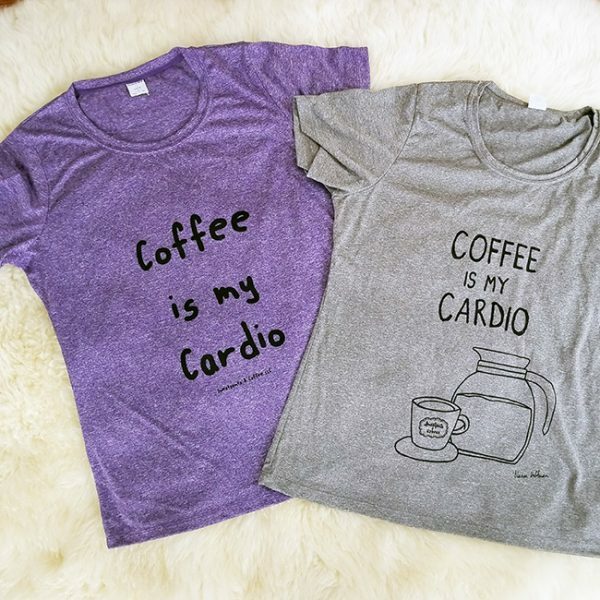 And as for our S&C Swag we’ve added these “Coffee is my Cardio” dri-fit tee’s, perfect for working out enjoying the sun, in Men’s Text Tee, Women’s Text Tee, AND Women’s Graphic Tee. 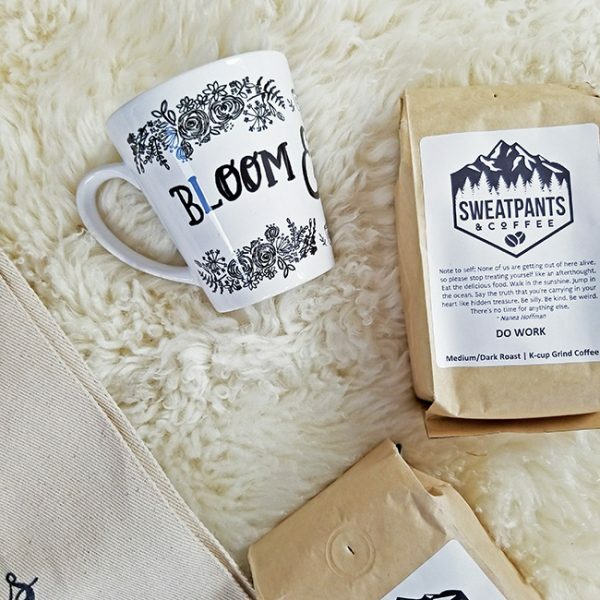 Our “Bloom & Brew” Latte Mug. 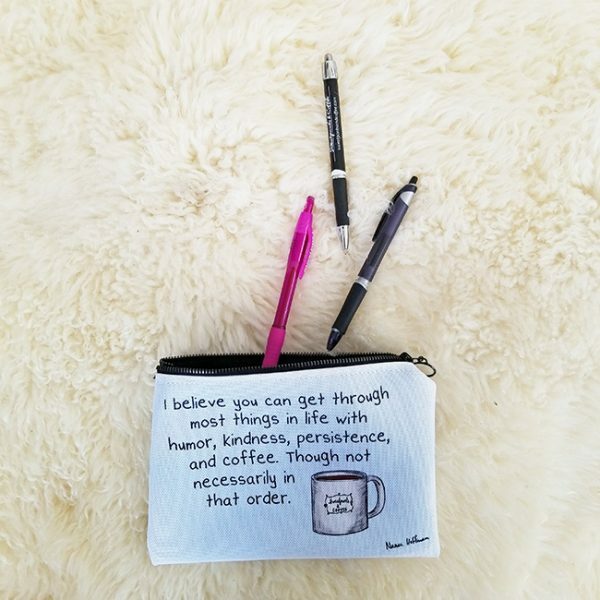 And this sweet Zip-Pouch, perfect for all your pens and knick-knacks, with an inspirational quote t keep you inspired all day long. And all of these things are part of our #SpringCollection in the S&C Shop. Don’t miss out on all this goodness we have for this month. Do as many or as little entries as you please, just don’t forget to enter below! This post is sponsored by our friends over at Cratejoy.